Football fans in Ghana have paid tribute to former Chelsea midfielder Michael Essien. They’ve erected a weird statue in his honour. 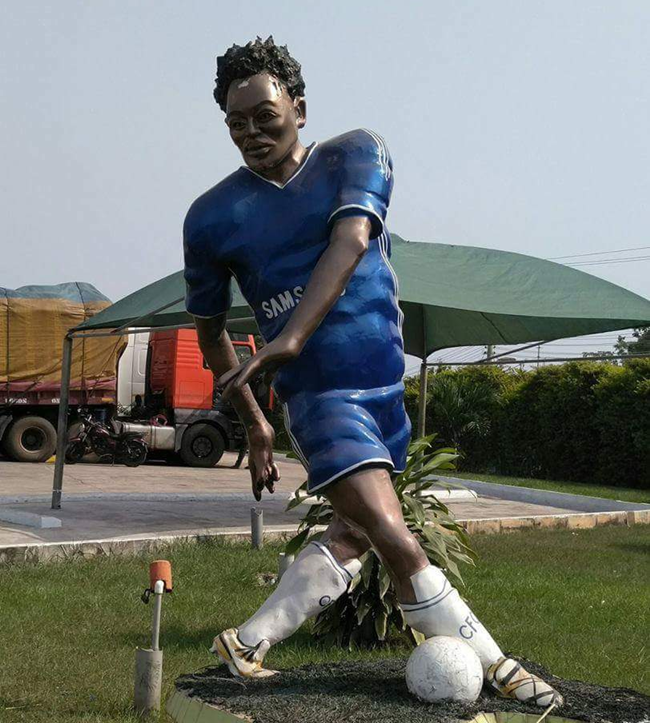 The life-size totem to Essien stands in Kumasi, Ghana’s second city. Did the artist ever seen Essien in the flesh, or just view him on 8ibit video games?